In our everyday experience, just about everything seems to have a beginning. In fact, the laws of science show that even things which look the same through our lifetime, such as the sun and other stars, are, in reality, running down. The sun is using up its fuel at millions of tons each second—since the sun cannot last forever, it had to have a beginning. The same can be shown to be true for the entire universe. The very first verse in the Bible declares: “In the beginning God . . . .” There is no attempt in these words to prove the existence of God or imply in any way that God had a beginning. In fact, the Bible makes it clear in many places that God is outside time. He is eternal, with no beginning or end. He also knows all things, being infinitely intelligent. What Would We Look For? What evidence would we expect to find if there really is an infinite God who created all things as the Bible claims? 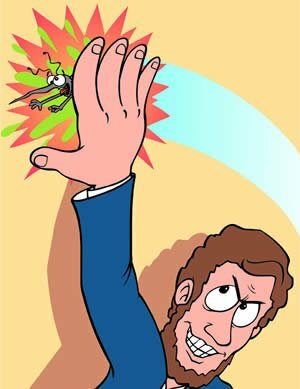 How would we even recognize the hand of such an omnipotent (all-powerful) Creator? The Bible claims that God knows all things—He is omniscient! Therefore, He is infinitely intelligent. To recognize His handiwork, one would have to know how to recognize the evidence of the works of His intelligence. How Do We Recognize the Evidence of Intelligence? Why do scientists become so excited when they discover stone tools together with bones in a cave? The stone tools show signs of intelligence. The scientists recognize that these tools could not have designed themselves but that they are a product of intelligent input. Thus, the researchers rightly conclude that an intelligent creature was responsible for making these tools. In a similar way, one would never look at the Great Wall of China, the U.S. Capitol building in Washington, D.C., or the Sydney Opera House in Australia and conclude that such structures were formed after explosions in a brick factory. 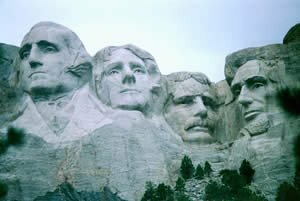 Neither would anyone believe that the presidents’ heads on Mt. 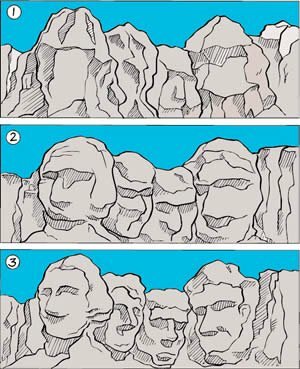 Rushmore were the products of millions of years of erosion. We can recognize Design, the evidence of the outworkings of intelligence. We see man-made objects all around us—cars, airplanes, computers, stereos, houses, appliances, and so on. And yet, at no time would anyone ever suggest that such objects were just the products of time and chance. Design is everywhere. It would never enter our minds that metal, left to itself, would eventually form into engines, transmissions, wheels, and all the other intricate parts needed to produce an automobile. Today, however, a large proportion of the population, including many leading scientists, believe that all plants and creatures, including the intelligent engineers who make watches, cars, etc., were the product of an evolutionary process— not a Creator God.4 But this is not a defensible position, as we will see. Living Things Show Evidence of Design! The late Isaac Asimov, an ardent anti-creationist, declared, “In man is a three-pound brain which, as far as we know, is the most complex and orderly arrangement of matter in the universe.”5 It is much more complex than the most complicated computer ever built. Wouldn’t it be logical to assume that if man’s highly intelligent brain designed the computer, then the human brain was also the product of design? There is no doubt that even the most ardent atheist concedes that design is evident in the animals and plants that inhabit our planet. If Dawkins rejects “chance” in design, what does he put in place of “chance” if he does not accept a Creator God? Who—or What—Is the Designer Then? Design obviously implies a designer. To a Christian, the design we see all around us is totally consistent with the Bible’s explanation: “In the beginning God created the heavens and the earth” ( Genesis 1:1 ), and “For by him [Jesus Christ] all things were created that are in heaven and that are in earth, visible and invisible, whether thrones or dominions or principalities or powers. All things were created through him and for him” ( Colossians 1:16 ). Basically, then, Dawkins is doing nothing more than insisting that natural selection12 and mutations13 together provide the mechanism for the evolutionary process. He believes these processes are nonrandom and directed. In reality, this is just a sophisticated way of saying that evolution is itself the designer. Does Natural Selection Produce Design? Life is built on information. A great amount of this information is contained in that molecule of heredity, DNA, which makes up the genes of an organism. Therefore, to argue that natural selection and mutations are the basic mechanisms of the evolutionary process, one must show that these processes produce the information responsible for the design that is evident in living things. Anyone who understands basic biology recognizes, of course, as Darwin did, that natural selection is a logical process that one can observe. 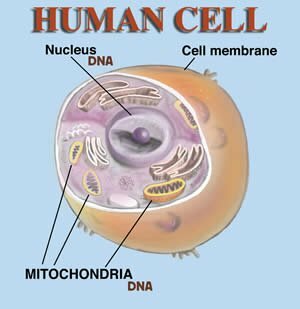 However, natural selection only operates on the information that is already contained in the genes—it does not produce new information.14 Actually, this is consistent with the Bible’s account of origins, in that God created distinct kinds of animals and plants, each to reproduce after its own kind. It is true that one can observe great variation in a kind and see the results of natural selection. For instance, wolves, coyotes, and dingoes have developed over time as a result of natural selection operating on the information found in the genes of the wolf/dog kind. 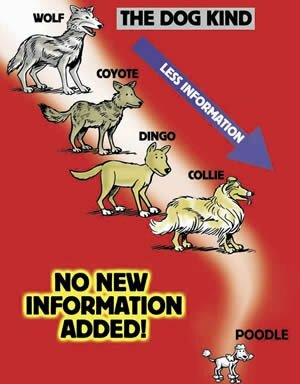 But the point is that no new information was produced—these varieties of dogs have resulted from a rearrangement, sorting out, and separation of the information in the original dog kind. One kind has never been observed to change into a totally different kind with information that previously did not exist.15 Without intelligent input to increase information, natural selection will not work as a mechanism for evolution. Without a way to increase information, natural selection will not work as a mechanism for evolution. Evolutionists would agree with this, but they believe that mutations somehow provide the new information for natural selection to act upon. So if natural selection and mutations are eliminated as mechanisms to produce the information and design of living systems, then another source must be found. But there are even more basic problems for those who reject the Creator God as the source of information. Imagine yourself sitting in the seat of a 747 airplane, reading about the construction of this great plane. You are fascinated by the fact that this flying machine is made up of six million parts—but then you realize that not one part by itself flies. This realization can be rather disconcerting if you are flying along at 500 mph (805 km/h) at 35,000 feet (10,668 m). You can be comforted, however, by the fact that even though not one part of an airplane flies on its own, when it is assembled as a completed machine, it does fly. We can use the construction of an airplane as an analogy to understand the basic mechanisms of the biochemistry of cells that enable organisms to function. Scientists have found that within the cell there are thousands of what can be called “biochemical machines.” For example, one could cite the cell’s ability to sense light and turn it into electrical impulses. But what scientists once thought was a simple process within a cell, such as being able to sense light and turn it into electrical impulses, is in fact a highly complicated event. For just this one example alone to work, numerous compounds must all be in the right place, at the right time, in the right concentration—or it just won’t happen. In other words, just as all the parts of a 747 need to be assembled before it can fly, so all the parts of these “biochemical machines” in cells need to be in place, or they can’t function. And there are literally thousands of such “machines” in a single cell that are vital for it to operate. What does this mean? Quite simply, evolution from chemicals to a living system is impossible. To illustrate this further, consider swatting a mosquito. 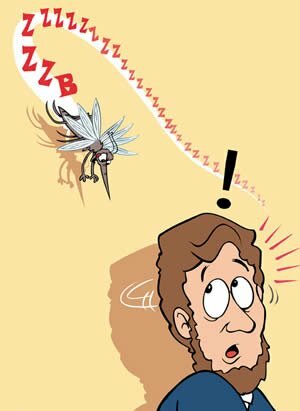 Then think about this question: Why did the mosquito die? 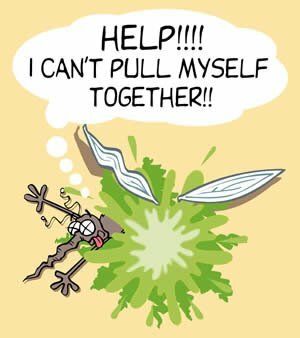 You see, the squashed mosquito has all the chemicals for life that an evolutionist could ever hope for in some Primordial Soup. Yet we know that nothing is going to evolve from this mosquito “soup.” So why did the mosquito die? Because by squashing it, you disorganized it. A problem indeed! The more we look into the workings of life, the more complicated it becomes, and the more we see that life could not arise by itself. Not only does life require a source of information, but the complex “machines” of the chemistry of life must be in existence right from the start. Some scientists and educators have tried to get around the above problems by speculating that as long as all the chemicals that make up the molecule of heredity (and the information it contains) came together at some time in the past, then life could have begun. Life is built upon information. In fact, in just one of the trillions of cells that make up the human body, the amount of information in its genes would fill at least 1,000 books of 500 pages of typewritten information. Scientists now think this is hugely underestimated. Where did all this information come from? Some try to explain it this way: imagine a professor taking all the letters of the alphabet, A–Z, and placing them in a hat. He then passes the hat around to students of his class and asks each to randomly select a letter. It is easy for us to see the possibility (no matter how remote it seems) of three students in a row selecting B then A and finally T. Put these three letters together and they spell a word—BAT. Thus, the professor concludes, given enough time, no matter how improbable it seems, there is always the possibility one could form a series of words that make a sentence, and eventually compile an encyclopedia. The students are then led to believe that no intelligence is necessary in the evolution of life from chemicals. As long as the molecules came together in the right order for such compounds as DNA, then life could have begun. On the surface, this sounds like a logical argument. However, there is a basic, fatal flaw in this analogy. The sequence of letters, B-A-T, is a word to whom? Someone who speaks English, Dutch, French, German, or Chinese? It is a word only to someone who knows the language. In other words, the order of letters is meaningless unless there is a language system and a translation system already in place to make the order meaningful. In the DNA of a cell, the order of its molecules is also meaningless, except that in the biochemistry of a cell, there is a language system (other molecules) that makes the order meaningful. DNA without the language system is meaningless, and the language system without the DNA wouldn’t work either. The other complication is that the language system that reads the order of the molecules in the DNA is itself specified by the DNA. This is another one of those “machines” that must already be in existence and fully formed, or life won’t work! Can Information Arise from Noninformation? We have already shown that information cannot come from mutations, a so-called mechanism of evolution, but is there any other possible way information could arise from matter? What Then Is the Source of the Information? We can therefore conclude that the huge amount of information in living things must originally have come from an intelligence, which had to have been far superior to ours. But then, some will say that such a source would have to be caused by something with even greater information/intelligence. However, if they reason this way, one could ask where even this greater information/intelligence came from. And then where did that one come from? One could extrapolate to infinity, unless there was a source of infinite intelligence, beyond our finite understanding. But isn’t this what the Bible indicates when we read, “In the beginning God . . .”? The God of the Bible is not bound by limitations of time, space, or anything else. So what is the logically defensible position? Is it that matter has eternally existed (or came into existence by itself for no reason) and then that, by itself, matter was arranged into information systems against everything observed in real science? Or did an eternal Being, the God of the Bible, the source of infinite intelligence,28 create information systems for life to exist, which agrees with real science? The crux of the matter is this: if one accepts there is a God who created us, then that God also owns us. If this God is the God of the Bible, He owns us and thus has a right to set the rules by which we must live. More important, He also tells us in the Bible that we are in rebellion against Him, our Creator. Because of this rebellion (called sin), our physical bodies are sentenced to death; but we will live on forever, either with God or without Him in a place of judgment. But the good news is that our Creator provided a means of deliverance for our sin of rebellion, so that those who come to Him in faith and repentance for their sin can receive the forgiveness of a holy God and spend eternity with Him. As stated before, the Bible takes God’s existence as a given. It never attempts to prove the existence of God, and this for a very good reason. When we logically prove a particular thing, we show that it must be true because it follows logically from something authoritative. But there is nothing more authoritative than God and His Word. God knows absolutely everything. So it makes sense to base our worldview on what God has written in His Word. Some people claim that it is unscientific to start from God’s Word. But in reality, nothing could be further from the truth. A belief in God is actually foundational to logical thought and scientific inquiry. Think about it: why is logical reasoning possible? There are laws of logic that we use when we reason. For example, there is the law of noncontradiction, which states that you can’t have “A” and “not-A” at the same time and in the same relationship. We all “know” that this is true. But why is it true, and how do we know it? If the universe were merely a chance accident, then why should logical reasoning be possible? But if the universe were merely a chance accident, then why should logical reasoning be possible? If my brain is merely the product of mutations (guided only by natural selection), then why should I think that it can determine what is true? The secular, evolutionary worldview cannot account for the existence of logical reasoning. Likewise, only a biblical worldview can really account for the existence of science—the study of the natural world. Science depends on the fact that the universe obeys orderly laws which do not arbitrarily change. But why should that be so? If the universe were merely an accident, why should it obey logical, orderly laws—or any laws at all for that matter? And why should these laws not be constantly changing, since so many other things change? The Bible explains this. There are orderly laws because a logical Law-Giver upholds the universe in a logical and consistent way. God does not change; so He sustains the universe in a consistent way. Only a biblical worldview can account for the existence of science and technology. Now, does this mean that a non-Christian is incapable of reasoning logically or doing science? Not at all. But he is being inconsistent. The non-Christian must “borrow” the above biblical principles in order to do science, or to think rationally. But this is inconsistent. The unbeliever must use biblical ideas in order to use science and reason, while he simultaneously denies that the Bible is true. By very definition, an eternal Being has always existed—nobody created Him. God is the Self-Existent One—the great “I Am” of the Bible.30 He is outside time; in fact, He created time. Think about it this way: everything that has a beginning requires a cause. The universe has a beginning and therefore requires a cause. But God has no beginning since He is beyond time. So God does not need a cause. There is nothing illogical about an eternal Being who has always existed even though it might be difficult to fully understand. We read in the book of Hebrews: “But without faith it is impossible to please Him, for he who comes to God must believe that He is, and that He is a rewarder of those who diligently seek Him” ( 11:6 ). What kind of faith is Christianity then? It is not blind faith as some may think. 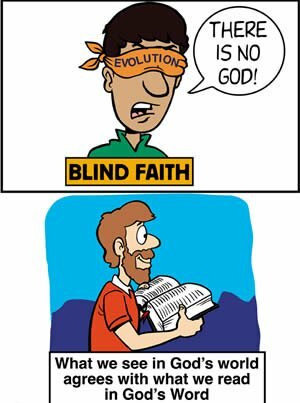 In fact, it is the evolutionists who deny the Creator who have the blind “faith.”31 They have to believe in something (i.e., that information can arise from disorder by chance) which goes against real science. But Christ, through the Holy Spirit, actually opens the eyes of Christians so that they can see that their faith is real.32 The Christian faith is a logically defensible faith. This is why the Bible makes it very clear that anyone who does not believe in God is without excuse: “For since the creation of the world His invisible attributes are clearly seen, being understood by the things that are made, even His eternal power and Godhead, so that they are without excuse” ( Romans 1:20 ). How Do We Know the Creator Is the God of the Bible? Only the Bible explains why there is beauty and ugliness; why there is life and death; why there is health and disease; why there is love and hate. Only the Bible gives the true and reliable account of the origin of all basic entities of life and the entire universe. And over and over again, the Bible’s historical account has been confirmed by archaeology, biology, geology, and astronomy. No contradiction or erroneous information has ever been found in its pages, even though it was written over hundreds of years by many different authors, each inspired by the Holy Spirit. Scientists from many different fields have produced hundreds of books and tapes defending the Bible’s accuracy and its claim that it is a revelation to us from our Creator. It not only tells us who we are and where we came from, but it also shares the good news of how we can spend eternity with our Lord and Savior. Take that first step and place your faith in God and His Word. 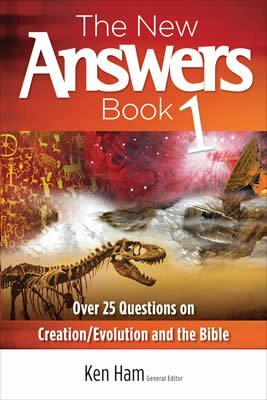 Next Chapter Why Shouldn’t Christians Accept Millions of Years? Psalm 90:2, 106:48, 147:5 . Notice that only things which have a beginning have to have a cause. See J. Sarfati, If God created the universe, then who created God? TJ 12(1):20–22, 1998. W. Paley, Natural Theology: or Evidences of the Existence and Attributes of the Deity, Collected from the Appearances of Nature, reprinted in 1972 by St. Thomas Press, Houston, Texas, 3. I. Taylor, In the Minds of Men, TFE Publishing, Toronto, Canada, 1991, 121. This is the process by which life is supposed to have arisen spontaneously from nonlife. Over long periods of time, different kinds of animals and plants have then supposedly developed as a result of small changes, resulting in an increase in genetic information. For instance, evolutionists propose that fish developed into amphibians, amphibians into reptiles, reptiles evolved into birds and mammals. Man eventually evolved from an ancestor shared with apes. I. Asimov, In the game of energy and thermodynamics you can’t even break even, Smithsonian, June 1970, 10. M. Denton, Evolution: A Theory in Crisis, Adler & Adler Publishers, Bethesda, Maryland, 1986, 32. R. Dawkins, The Blind Watchmaker, W.W. Norton & Co., New York, 1987, 43. R. Dawkins, The necessity of Darwinism, New Scientist 94:130, 1982. Dawkins, The Blind Watchmaker, 43. 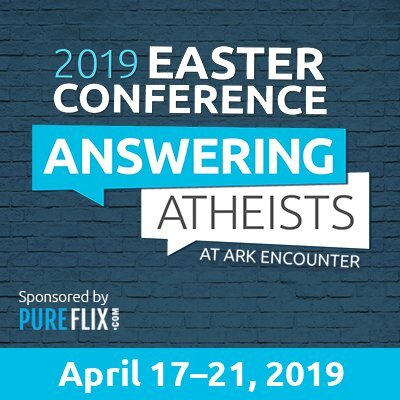 Dr. Gary Parker, a creationist, argues that natural selection does occur, but operates as a “preservative” and has nothing to do with one organism changing into another. “Natural selection is just one of the processes that operates in our present corrupted world to insure that the created kinds can indeed spread throughout the Earth in all its ecologic and geographic variety (often, nowadays, in spite of human pollution).” G. Parker, Creation: Facts of Life, Master Books, Green Forest, Arkansas, 1994, 75. “[Richard] Lewontin is an evolutionist and outspoken anti-creationist, but he honestly recognizes the same limitations of natural selection that creation scientists do: ‘ . . . natural selection operates essentially to enable the organisms to maintain their state of adaptation rather than to improve it.’ Natural selection does not lead to continual improvement (evolution); it only helps to maintain features that organisms already have (creation). Lewontin also notes that extinct species seem to have been just as fit to survive as modern ones, so he adds: ‘. . . natural selection over the long run does not seem to improve a species’ chances of survival, but simply enables it to “track,” or keep up with, the constantly changing environment.’” “It seems to me that natural selection works only because each kind was created with sufficient variety to multiply and fill the earth in all its ecologic and geographic variety.” G. Parker, Creation: Facts of Life, 84–86. “After all, mutations are only changes in genes that already exist,” G. Parker, Creation: Facts of Life, 103. “In an article paradoxically titled ‘The Mechanisms of Evolution,’ Francisco Ayala defines a mutation as ‘an error’ in DNA.” G. Parker, Creation: Facts of Life, 99. For instance, despite many unproved claims to the contrary by evolutionists, nobody has observed or documented a reptile changing into a bird. The classic example paraded by some evolutionists as an “in-between” creature, Archaeopteryx, has now been rejected by many evolutionists. M. Denton, Evolution: A Theory in Crisis, 317. L. Spetner, Not By Chance, The Judaica Press, Brooklyn, New York, 1997, 131–132. W. Gitt, In the Beginning Was Information, Master Books, Green Forest, Arkansas, 2006, 127. M.J. Behe, Darwin’s Black Box, The Free Press, New York, 1996, 252–253. Dawkins, The Blind Watchmaker, 139–140. Gitt, In the Beginning Was Information, 64–67. Dawkins, The Blind Watchmaker, 141. Thus, it is capable of generating infinite information, and certainly the enormous, though finite, information of life. Behe, Darwin’s Black Box, 243. See Exodus 3:14, Job 38:4;, John 8:58, Revelation 1:18, Isaiah 44:6, Deuteronomy 4:39 . See Matthew 13:15, John 12:40, Romans 11:8–10 . See Matthew 13:16, Acts 26:18, Ephesians 1:18, 1 John 1:1 . See Matthew 5:18, 2 Timothy 3:16, 2 Peter 1:21, Psalms 12:6, 1 Thessalonians 2:13 .